This loyal canine helps guide his human through the world. Photo illustration by Slate. Photo by Jacob Brogan. 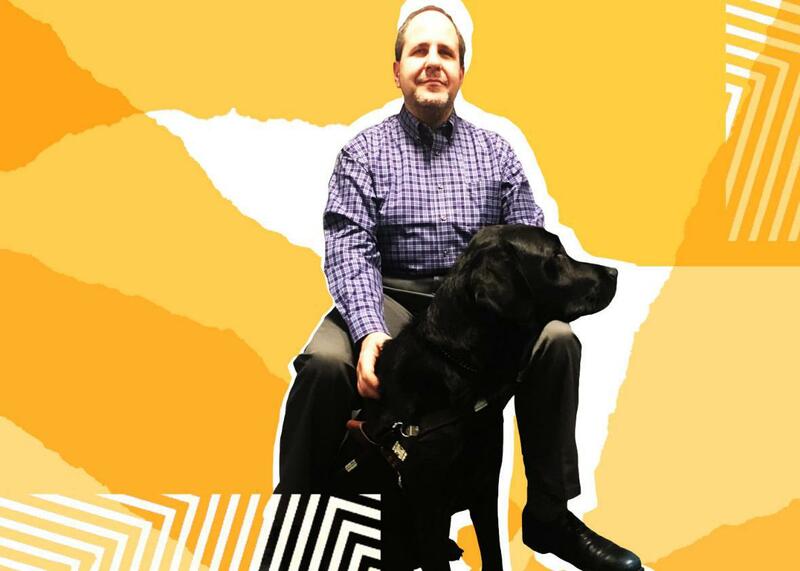 In this week’s episode, we are joined by attorney Al Elia, who leads us through the working life of his guide dog and canine companion, Cheeche, a black Labrador retriever. Elia, who is blind, explains how Cheeche helps lead him through his days, from the ways they communicate with one another to what the pup does during his downtime. He also talks about Cheeche’s bathroom schedule, tells us about the training process, and explains what you should and shouldn’t do when you see an adorable guide dog out in the world. Then, in a Slate Plus extra, Elia tells us how Cheeche got his name. If you’re a member, enjoy bonus segments from Working, plus other great podcast exclusives. Start your two-week free trial at Slate.com/workingplus.